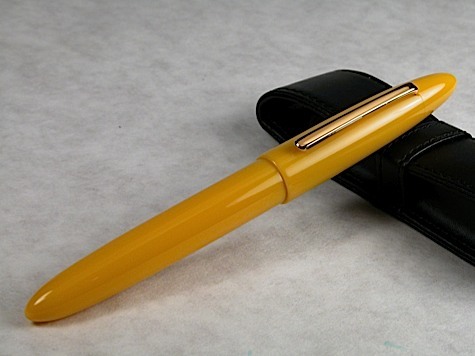 I’m very excited to introduce the Edison Pen Co. 18k Gold nib. 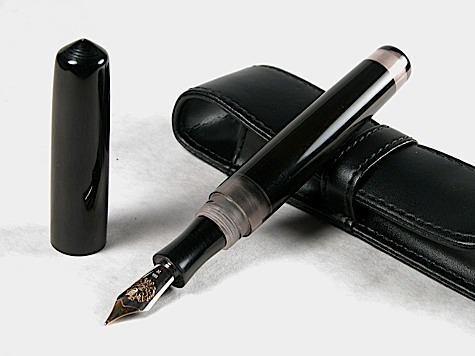 This nib is German made, and available in Fine, Medium, and Broad. 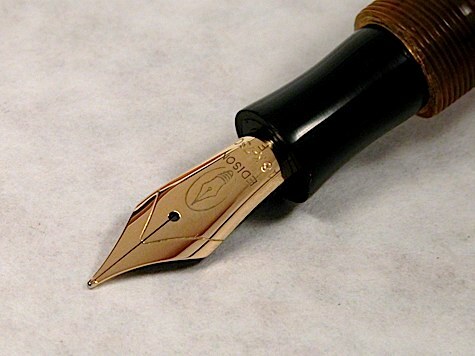 I will be discontinuing the 14k Bock nibs and Bexley nibs, as this nib is of equal quality. However, I still have some Bexleys and Bocks in inventory. 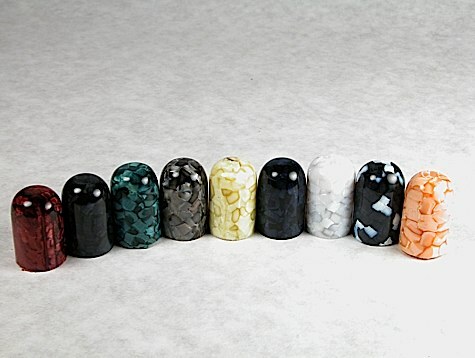 If you are interested in these nibs, email me to inquire. 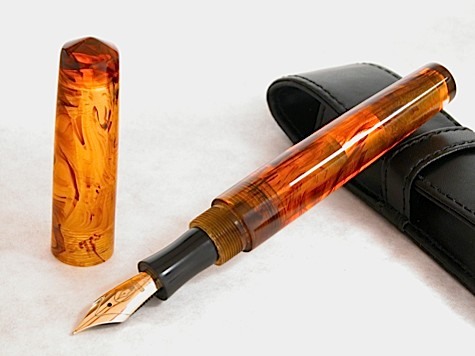 You can click here to learn more about the Edison 18k nib. 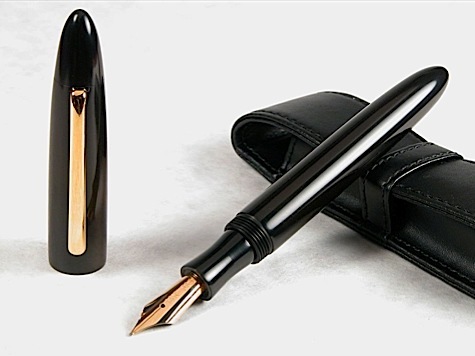 The Pearl is the newest pen from Edison. It is a cartridge/converter filler, but it could be made into an eyedropper. There are options to choose from with this pen…. Ink window, blind cap with an ink window, and there will be a clip option very soon. The pricing structure breaks down like this…. 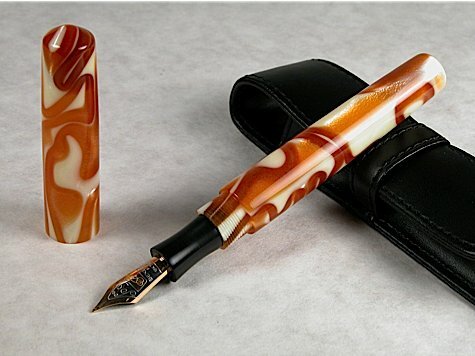 Click Here to learn more about this pen. 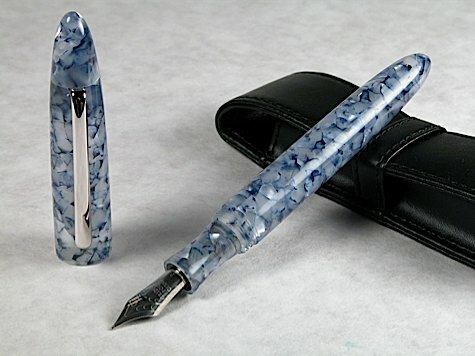 I will be attending the Toronto pen show this weekend. I hope to see some of you there, specifically some members of the London Pen Club. I have traded emails with some members, and I look forward to meeting some folks live. 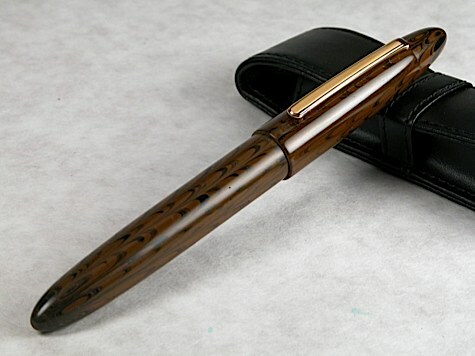 I will give a preview of a new model pen that will be emerging very soon. 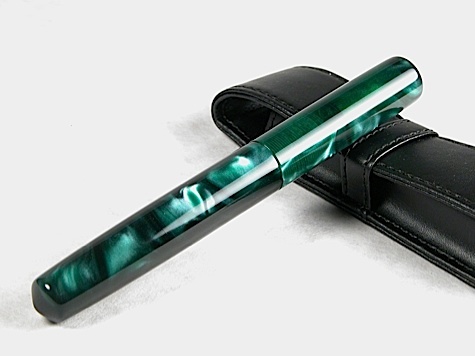 This pen will be called "The Pearl". Within a week, I’ll make an official announcement, but for now, take a peek at what will come. This pen will have options for TWO ink windows. One below the section, and one within a blind cap that has been bored out to reveal the ink. Well, the New York/New Jersey show was quite successful for me. I got a chance to finally meet some of my clients live, shake some hands, and network with a lot of the pen community. My next show will be Columbus in November, so I hope to meet more folks there. In the meantime, myself, my wife, and my three-year old are taking a much needed vacation. I’ll be back in the shop on Monday. 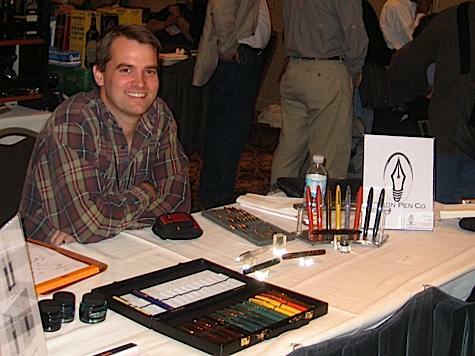 I’m heading to the New York City Pen Show this coming weekend. Aaron from Pentiques is not too far from me, and he’s kind enough to allow me to head east with him. I’ll also have a new batch of the Heralds done in some fantastic acrylics. I hope to finally meet some of my clients live! A lot of you are aware that I’ve been working on redesigning the Herald. 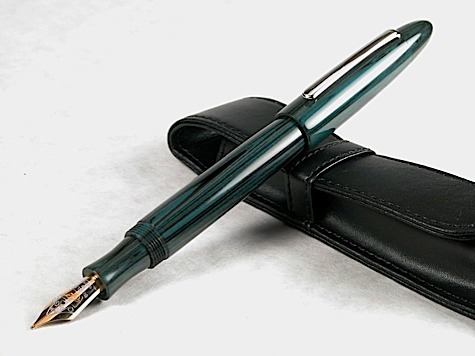 Feedback that I received was that the pen could use the centerband eliminated, as well as the trim ring on the barrel. Most people also wanted the ability to post the cap. The other comment that I received is that it would be very nice to have an eyedropper filling system. Well, I’ve paid attention to my customers requests, and all four of the above changes have been made. In the photo below, you will notice that I have eliminated the barrel trim ring. 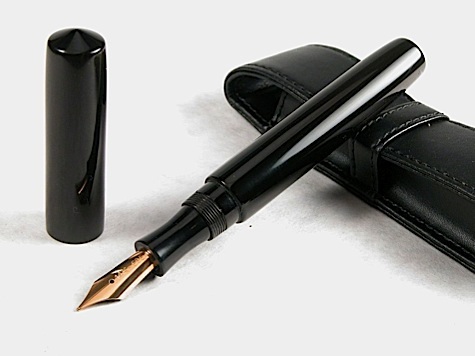 As far as the filling system goes, the pen is now available as an eyedropper, or as a cartridge/converter. The new version is also a bit shorter and lighter than the original. It is 18 grams capped and 10 grams uncapped, wheras the original was 29 grams and 14 grams, respectively. The only parts of this pen that is not made of ebonite would be the nib, feed, and clip. 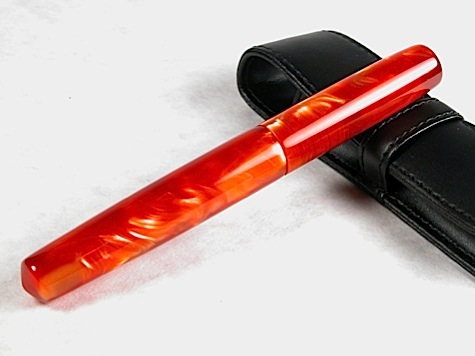 My previous version of this pen was $175, and then if you wanted an ebonite section, you would add $30, for a total of $205. 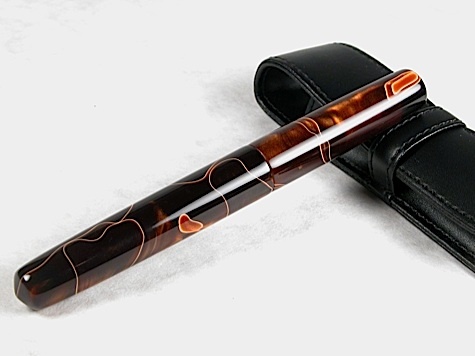 This new version comes standard with an ebonite section, and starts at $190. So this pen is actually a better pen, at a lesser price. And good news…anyone who has purchased the original Herald from me will receive 10% off the purchase of the updated Herald. 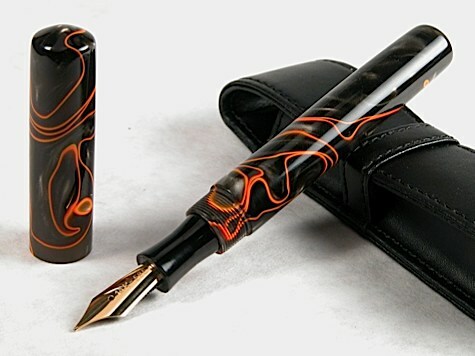 All that I presently have in inventory is ebonite pens. Acrylics will be available in about a week or two. Click here for the Herald Pen Main Page. What follows are pictures of some new acrylic material that I was recently able to acquire. First is a nice array of flecked colors, and then a PERFECT copy of Parker Orange. 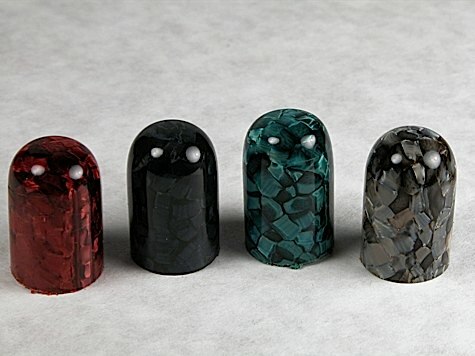 From left to right – Red, Black, Green, and Slate. 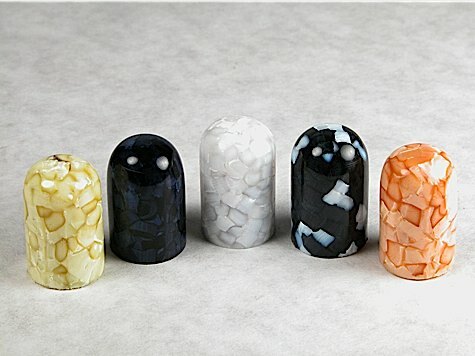 From left to right – Yellow, Blue, White, Black/White, and Peach. Below is a great acrylic material. 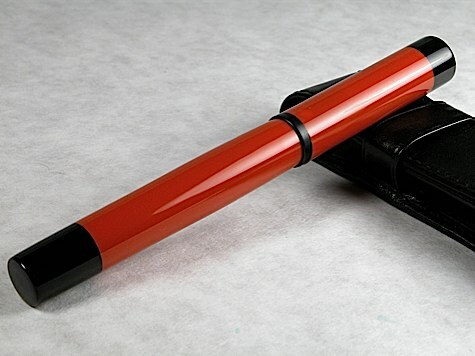 This is a PERFECT copy of Parker orange. 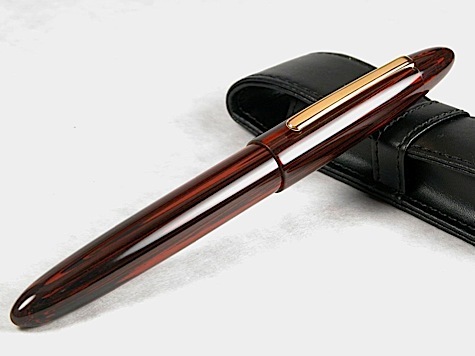 My supplier of this material literally sent the manufacturer a classic Parker and told him to copy it. It took the manufacturer two tries, but they got it right. 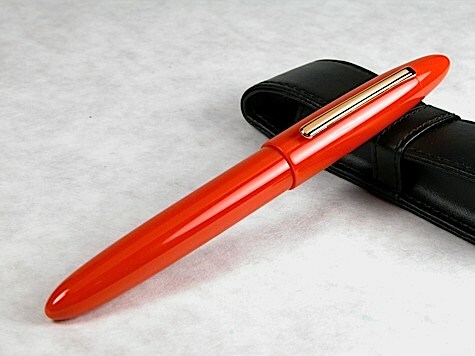 The pen shown above is a clipless Glenmont. All of the new materials above are available for any pen design.